Please tell us about any resources not included here that you think would be useful for other unions to know about using this online form. Free maths games, puzzles and reference resources, including worksheets with solutions. 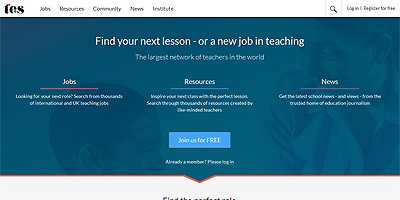 This site is primarily designed as a resource for school teachers, but also works well for adult learning, according to comments from our research group. The website includes useful contacts, access to the Maths Everywhere app (see above) and a useful database of other maths skills apps. 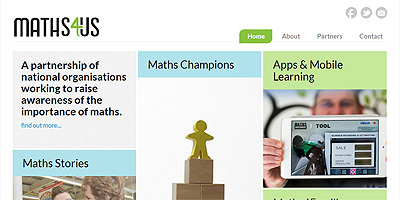 A site aimed to help adults learn the maths needed for everyday life. Once registered for a free account, learners can take the challenge, which then indicates areas that they need to improve in. 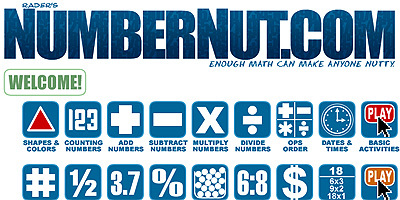 Individual unions can register for a unique web address under the National Numeracy Challenge, which then allows each union to monitor how many learners it has put through. An important part of the challenge has been the development of Challenge Champions – volunteers who help engage and support people to take up the challenge. Several unions have reported the beneficial impact on learner engagement that champions have had. The site details how to become a champion and enrol on the training for the role. 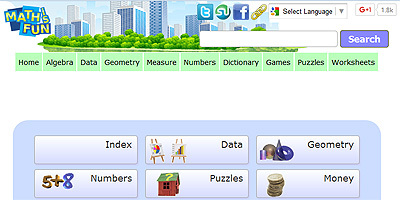 US-based site primarily consisting of explanations of mathematical concepts with worked examples. Each one builds from basic to intermediate, so it makes a useful reference resource, or source of supplementary information. There are some practice problems and activities. 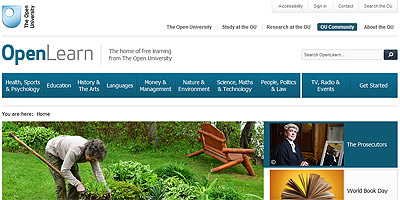 Vast range of free online courses, some of which serve as promotional tasters for the Open University’s higher education opportunities, including English and maths courses. These can form ideal supplementary or informal learning. In particular, two maths courses were mentioned by practitioners: Succeed With Maths parts 1 & 2. It should be noted that these are quite in-depth courses of around 24 hours duration, so require a significant level of commitment. Once learners have registered for an open learn account, they can accumulate online 'badges' in recognition of learning achievement, and some of our interviewees cited this as a motivating factor for significant numbers of learners. Designed as a handy engagement resource or reference for learning centres, these cards cover basic maths functions in plain language. Topics covered include the language of maths, number rounding, averages and much more. 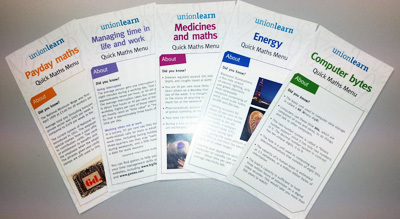 Unionlearn has produced a set of leaflets that look like takeaway menus but instead contain bitesize maths activities. The leaflets have been designed for union learning reps to use, with have space to add contact details. 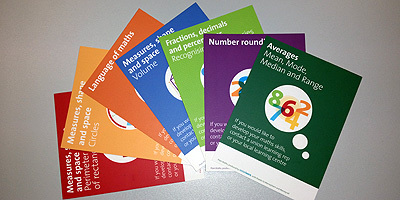 There are six different leaflets available, all of which make useful resources for engagement. A series of books designed to be shorter and more accessible for adults who are less confident about reading, Quick Reads are aimed at readers from Entry Level 3 upwards. Many unions have built up workplace or learning centre libraries of these books, which have proved a highly successful means of encouraging workers to get back into reading. The books can be purchased for around £1 each at a range of outlets, and large print versions are also available. 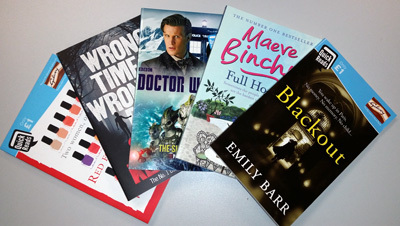 There is a substantial range of titles in the Quick Reads catalogue with something to suit most tastes. One of our respondents described them as 'good seeding for workplace book groups, book clubs and book swaps', though added a note of caution to consider your likely readers before ordering, so that appropriate titles are ordered for your target group (see Reading Ahead). 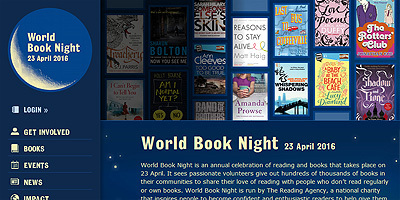 Charity that promotes and encourages reading via a range of campaigns, like Reading Ahead, Quick Reads and World Book Night. It works in partnership with local libraries to make reading opportunities available. The website is a useful resource for keeping up with developments around the campaigns and picking up tips around learner engagement. Formerly known as the Six Book Challenge, Reading Ahead is one of the initiatives coordinated by the Reading Agency. 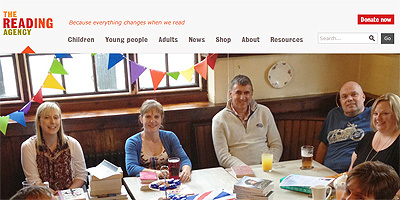 It aims to change adults’ perception of reading and encourage reading for pleasure. Readers can record their reading achievements and their thoughts about what they have read, and are encouraged to discuss online with other readers. 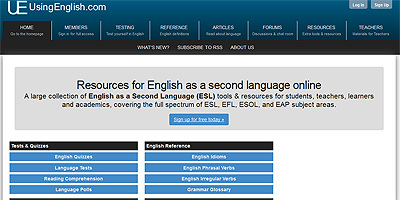 The site includes a handy search tool that allows users to search for suitable Quick Reads by subject matter and level. UNISON and the Reading Agency have together produced a guide which is full of ideas on using Reading Ahead. See the UNISON case study. A news and information resource for anyone interested in English, maths or ESOL, the site includes some freely-downloadable resources, mainly of use to trained tutors or learning centre workers. However, the site is primarily concerned with signposting to other resources, in particular the Excellence Gateway (see above). 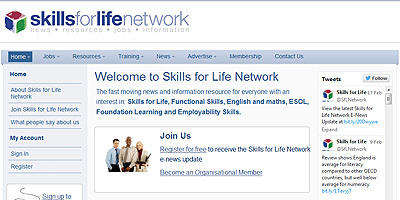 You can subscribe to the site for news updates, details of training courses etc. Highly recommended by practitioners for supplementary learning resources, this is an online store of user-generated learning resources, which can be freely downloaded as PDF or Word documents, and adapted to learners’ needs. It is constructed in the form of a searchable database, and is extremely user-friendly. By creating a free account you can also upload and share your own materials with the wider English and maths community. In particular, colleagues reported downloading materials to support learners who had struggled with resources mapped to Functional Skills assessments, to aid broader understanding of specific topics. As such, these resources are probably most suitable for use by trained learning centre workers or tutors, but some could be adapted relatively easily for engagement purposes. Free to register, searchable database of resources on a wide range of subjects, including English and maths support resources. 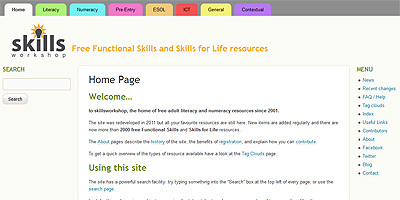 Several practitioners reported occasional use of this site for supplementary learning resources. Site aimed primarily at ESOL learners, but many of the resources could be adapted for anyone learning English. The site contains online and paper-based quizzes, tests and teacher hand-outs that could be downloaded and used as reference material, or to build group activities around. 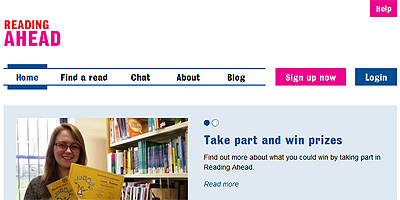 An annual celebration of reading held on 23 April, this site coordinates international events encouraging adults to get back into reading. It makes a useful focus for an engagement campaign at the workplace. LC = Recommended for Learning Centre staff or tutors with experience of supporting English and maths learners.